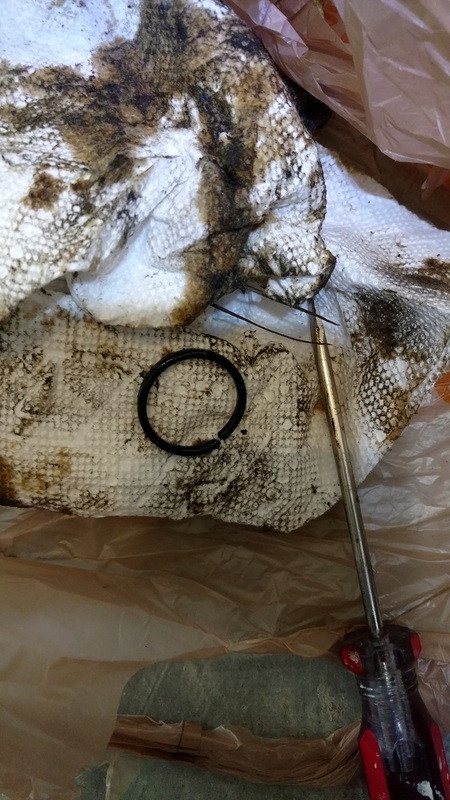 Noticed underneath leaking for a while, finally bought this O-Ring part from Honda dealer for $2.52 while doing something else. 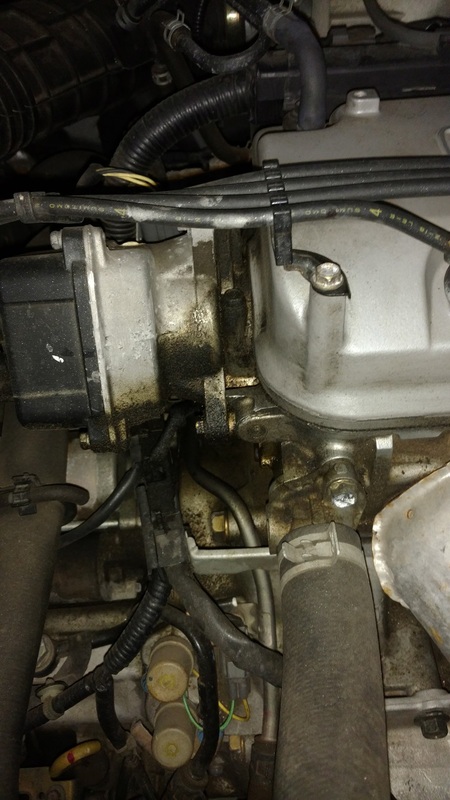 Remove the spark plugs from the tubes instead of the distributor cap, this way, I won't be confused about which cable going where. Then removed 3 bolts holding the distributor, the inner bottom one fell off, need some long needle pliers to pick up, so be very careful. Put a paper towel under the distributor to absorb any spill. Loosened up the distributor by twisting it and pulled it out. Marked the tip of the crescent shape with a Sharpie to preserve timing, this is very critical in order not to mess up the engine. Cleaned up the leak and surrounding area with paper towels. 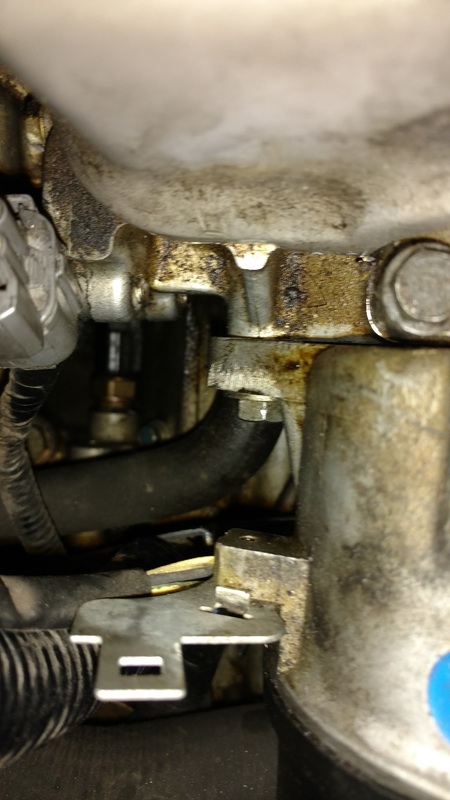 Used a small flat screw driver to get the old O-Ring out, it is very fragile already, so it was broken when pried on. Put on the new one with ease while there was still engine oil around the axle and itself being flexible. Made sure the marks lined up, then put it back in, and twist a little bit until it is full engaged. Should had put the inner bottom bolt in first, because it slipped again and needed to unscrew and pull the distributor back out to pick that bolt. Otherwise, it is an fairly easy job and saves you quite some sweet bucks. 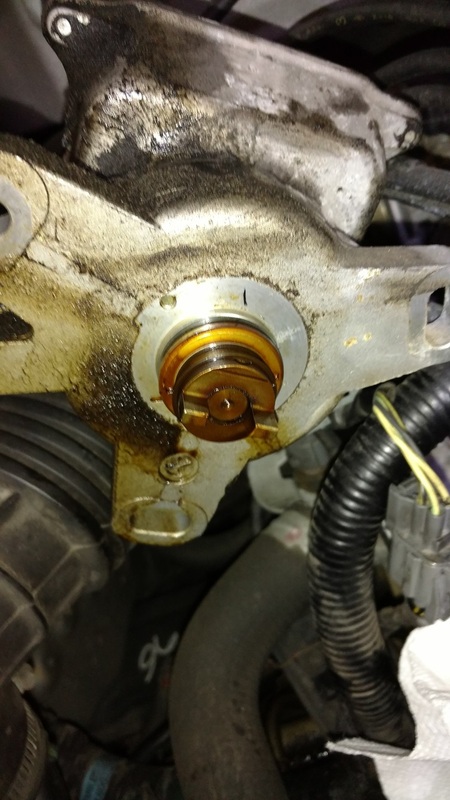 This car had some 156000 miles on it, could see some oil stain around valve cover and engine block area. 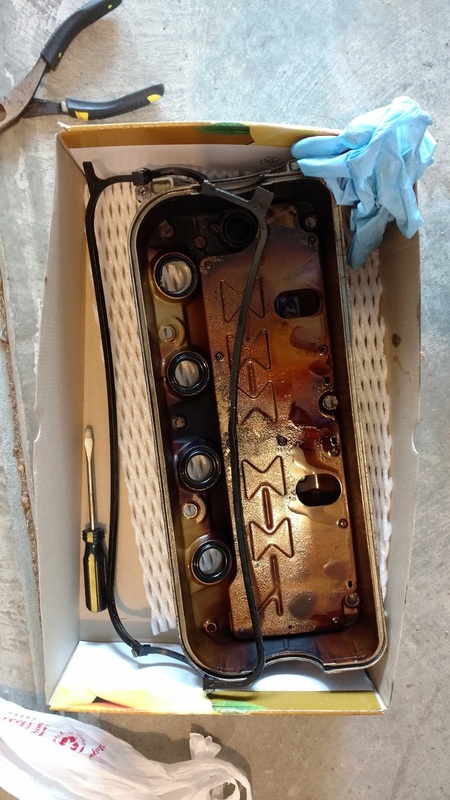 Used a very thin and small flat screw driver to shim in tube seal and the valve cover, pried it off the tube, then used a pair of pliers to pull it out, repeated for all four seals. Wiped clean the walls of tubes for new ones to be put in. 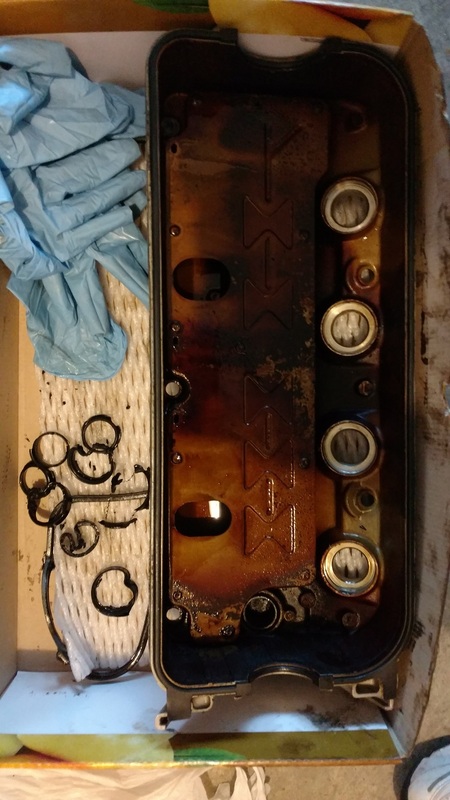 Used a big enough socket to hammer new seals into places, then replaced items back in order, when tightening up those 5 bolts, it took a little time to fit, just be patient. Always get parts from dealer, this way you save a lot of trouble down the road.